Soft chocolate cookies with marshmallows that go perfectly with a mug of hot chocolate. 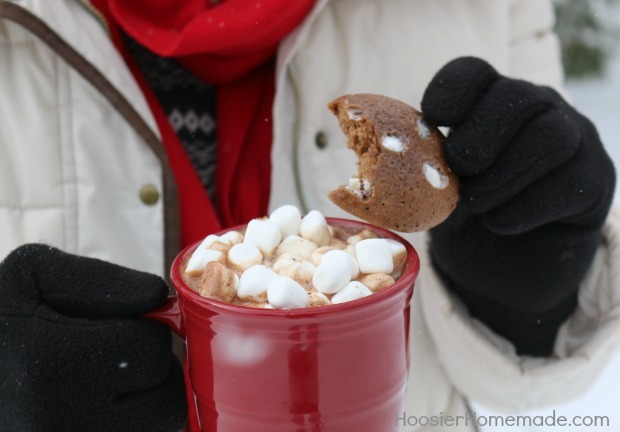 These Hot Cocoa Cookies will quickly become a favorite at your house! This Winter there has been plenty of time for sledding. We have had a lot of snow (and cold, too, unfortunately). 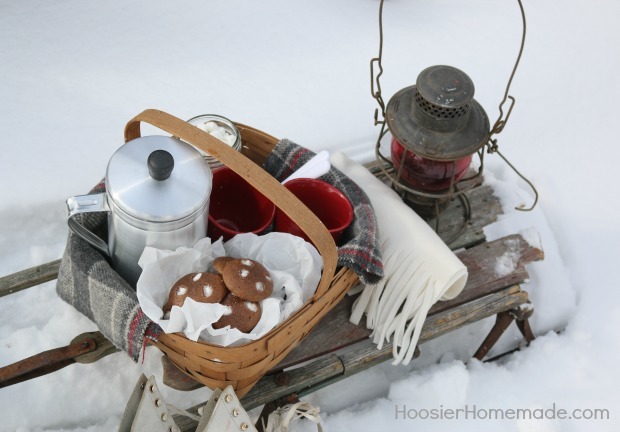 One of my favorite things to do while sledding is sneak inside and prepare a great treat for the kids for when they come inside. Sometimes, it is chicken noodle soup. Other times it might be cookies or brownies. No matter what food I whip up, there is always hot chocolate to warm up the cold fingers and toes of my family. 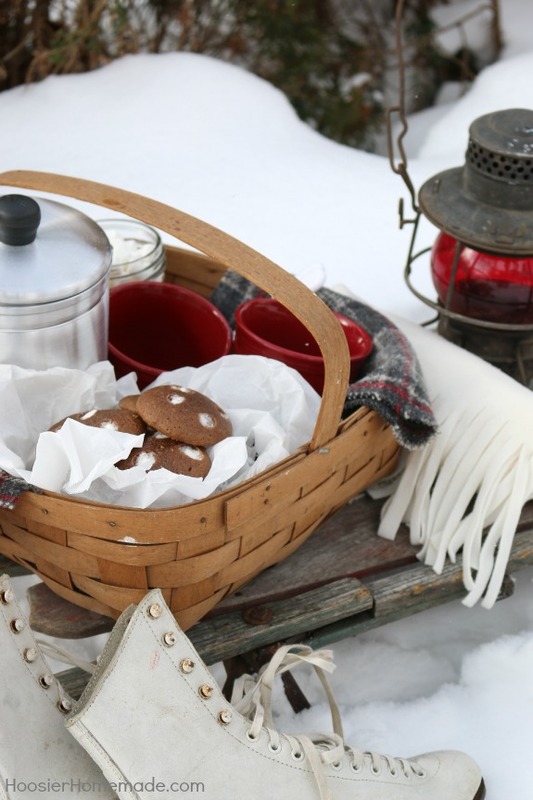 Recently, I warmed up some friends and family with some delicious Hot Cocoa Cookies and hot chocolate. These cookies were made with Truvia Baking Blend. I like using Truvia because it reduces the sugar content of recipes without sacrificing the sweetness that we all love. I have baked with Truvia many times in the past and each recipe has turned out great. 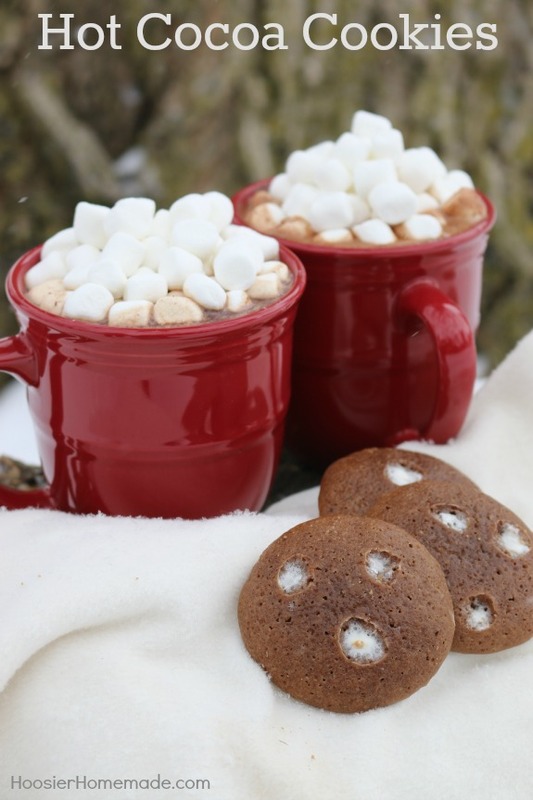 These Hot Cocoa Cookies are equally delicious. The original recipe called for 2 cups of sugar but I substituted 1 cup of Truvia Baking Blend. They turned out great and were perfect when paired with hot cocoa. Truvia is a natural sweetener made from the leaf of the Stevia plant. It offers a great taste with zero calories. It’s a great ingredient to use if you are watching your weight or diabetic because it does not affect your glycemic index. Living in Northwest Indiana during the Winter can be difficult. But today, the snow was perfect so we had a little fun. Snow Angels were made in the freshly fallen snow. And yes, it was snowing on me during these pictures. We couldn’t have picked a better day! 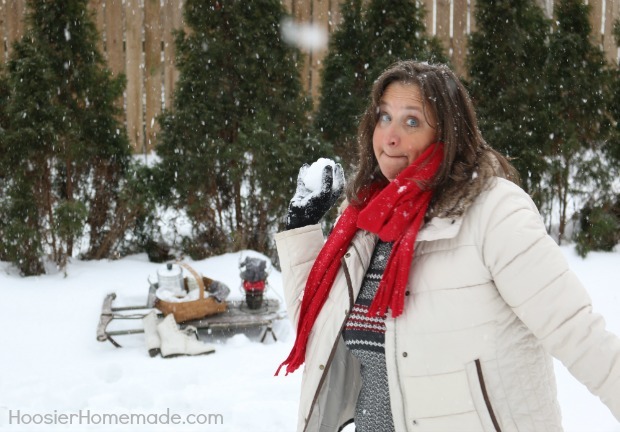 We had such a fun time in the snow! 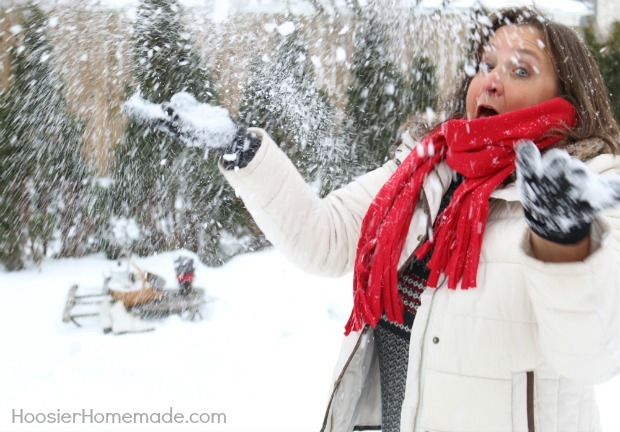 Sledding this winter has been so much fun and Truvia wants to see all the fun you are having. 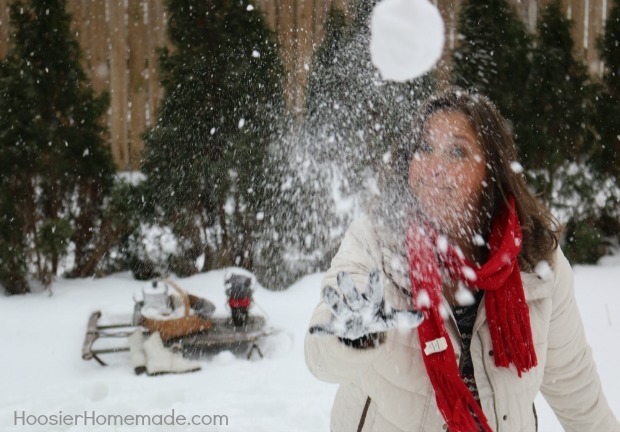 They are holding a photo contest to see all the great sledding memories you are making. The #SweetWarmUp contest runs from February 9th to the 24th. 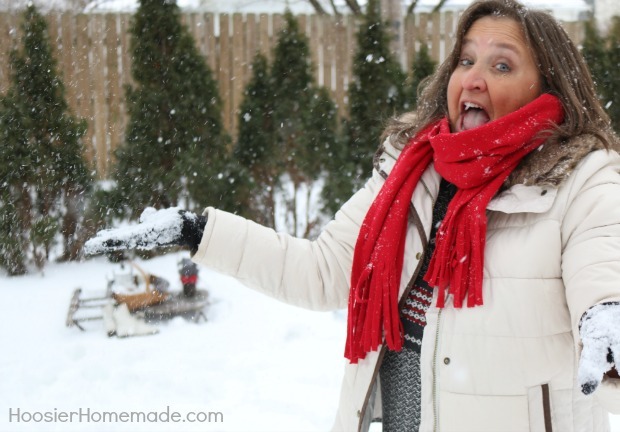 You can post your sledding or sledding inspired photographs on the Truvia Facebook page or by posting the hashtag #SweetWarmUp to Instagram or Twitter. Melt chocolate in microwave safe bowl, 30 seconds at a time until completely melted. Stir until smooth. Combine flour, baking powder and salt. Gradually add to chocolate mixture. Transfer dough to medium bowl and chill for several hours or overnight in refrigerator. Love the fun pics and this recipe looks yummy! Thanks so much Melissa! It was really fun to shoot in the snow. Enjoyed the “snow” pictures immensely. 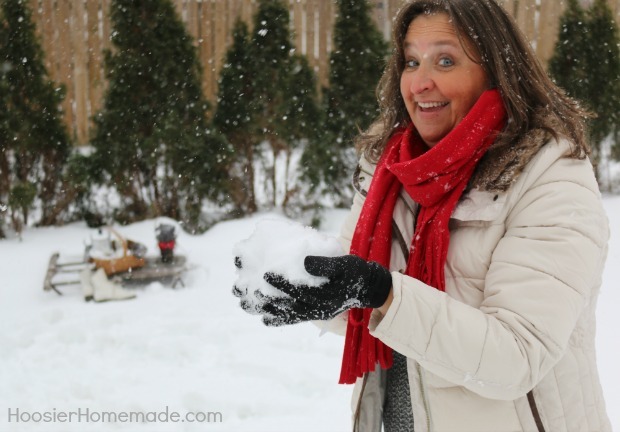 They brought memories of making snow angels with my kids when they were little! I just bought some Chocolate Raspberry Gourmet Cocoa. Think I’ll try your cookies this weekend with it! Thanks. . Thrilled you liked them, we had a lot of fun!